Bathroom Renovation | Richmond, VA | Carroll Plumbing & Heating Inc. 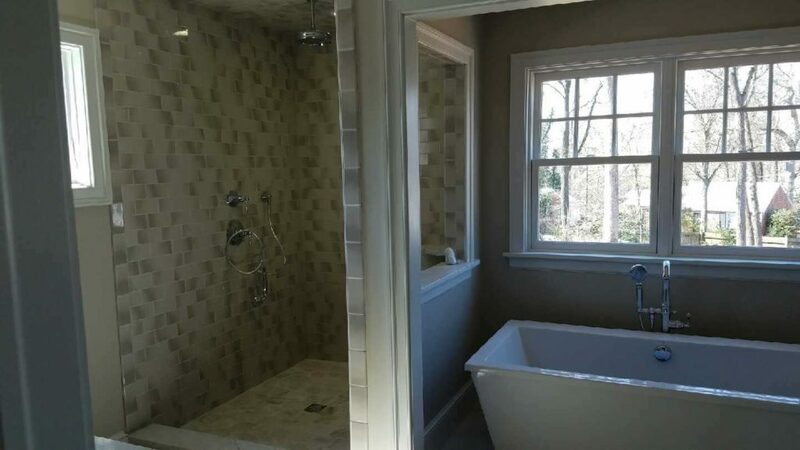 This beautiful new bathroom was installed as part of a full house plumbing renovation in the Forest Hill neighborhood of Richmond’s Southside. Complete with a custom walk-in shower, freestanding tub and much more, this renovation is a sight to be seen! A quaint neighborhood in the City of Richmond, Forest Hill has unique homes, many with original plumbing intact. This makes bathroom renovations challenging, but not for the plumbers at Carroll Plumbing & Heating Inc. This project is a great example of how our plumbers can turn an outdated, less than luxurious master bath into a relaxing retreat. If you’re interested in renovating your home, you need an expert plumber to ensure every fixture is installed with care and precision. Look no further than us for plumbing installations as part of your home renovation project. Contact Carroll Plumbing & Heating Inc. to learn more!